parents to raise safe, responsible, and thoughtful digital citizens. In 2016 high school students created short films about online bullying for a national contest. This film combines a few of those winning submissions and tells an important story for parents and educators. Run time is 20 minutes. Download a parent-guide for understanding the film and safeguarding children against cyberbullying. This resource and transcripts of the film are available in additional languages for non-English speakers. Now that you've seen AT&T's There's a Soul Behind That Screen, get resources to address cyberbullying from Common Sense Media. Transcript of the film and parent resources for non-English speakers. Are you interested in screening this film in your town? Last year, AT&T and the Tyler Clementi Foundation conducted a survey of New York City teens and parents on cyberbullying that found while nearly 50% of teens had experienced cyberbullying, only 1 in 2 told their parents. 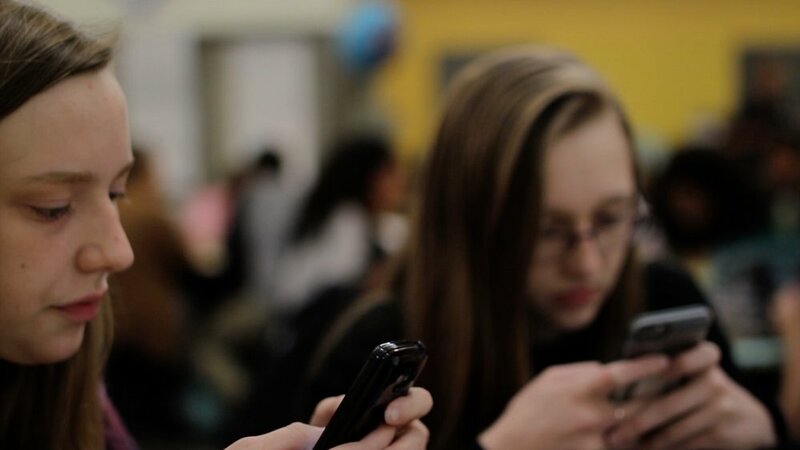 To help parents, educators and teens understand and address this issue together, AT&T and the All American High School Film Festival organized a national contest inviting high school students across the country to create short films about their own experiences with cyberbullying. The contest culminated in New York City and winners were announced at the Teen Indie Awards on October 10, 2016. AT&T’s film There’s a Soul Behind That Screen incorporates a few of those winning submissions from the contest to tell an important story for adults. For parents who watch the film, Common Sense Media developed useful advice using various situations in the film as a way to explain how to talk with kids about online safety. The contest and release of the film were supported by the New York City Council, the Mayor's Office of Media and Entertainment, New York City Department of Education, the Tyler Clementi Foundation, the Ad Council, Fullscreen and Norton Edwards, LLC.